We are pleased to announce that Netcetera’s ISO9001, ISO14001 and ISO27001 accreditations have been successfully renewed following an extensive independent audit of our standards and procedures. This accreditation is only awarded to companies that demonstrate the highest quality management systems. Over the last 10 years we have worked hard to improve every aspect of what we do. From how we look after our environment, to ensuring our security and management systems are the very best they can be. We believe that independent auditing by an organisation such as ISO allows us to examine what we do, identify areas where we can improve and just as importantly inform our valued clients that we are open and transparent about the standards we have achieved. ISO9001:2015 specifies requirements for a quality management system where an organisation needs to demonstrate its ability to consistently provide products that meet customer and applicable statutory and regulatory requirements. Netcetera aims to enhance customer satisfaction through effective quality assurance and continual improvement. ISO14001:2015 standard is an international certification that applies requirements for information security management systems. The standard is designed to provide customers with an assurance that their provider uses industry best practices for information security. ISO27001:2013 is an internationally-recognised accreditation for organisations that demonstrate superior environmental management. 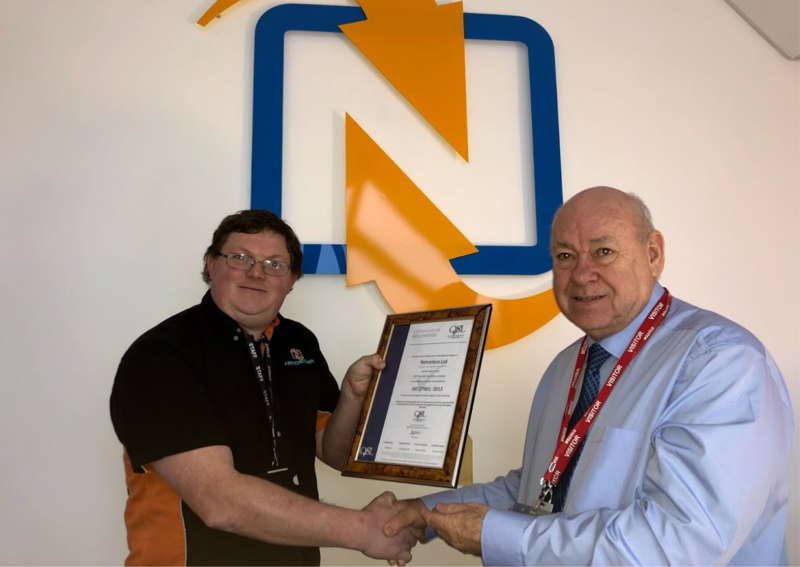 The certificate highlights Netcetera’s ongoing commitment to both maximise the energy efficiency of it’s existing datacentre estate and develop innovative new green hosting services. Quality management systems, security and our environmental commitment all come as standard when you choose to host with Netcetera. We firmly believe that when you choose a hosting provider they should put the client first in everything they do. Here at Netcetera we’re pleased to say that everything we do is client oriented which is all backed up by our open auditing and transparency. If you would like to find out what sets us apart from other hosting providers, simply click the button below.